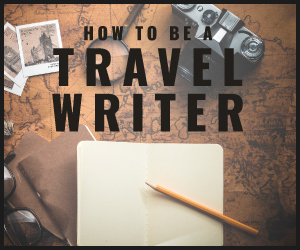 One of the most well-known and respected travel writers out there (David Farley) has teamed up with one of the most successful travel bloggers (Nomadic Matt) to create a travel writing course. I was really excited to learn about their course — “How to Be a Travel Writer” — because as someone who has seen both sides of travel writing world (online and print), I’m always amazed at how few bloggers work to improve their writing compared to traditional (print) writers, who typically take more classes and to work with editors more than online bloggers do. I think this is because most traditional writers come from a journalism background whereas many bloggers are travelers-turned-writers, and many of them tend to focus more on the ‘marketing’ side of blogging than the writing. After reviewing the course and seeing first-hand how terrific it is, I sat down to interview both of them on it! Why did the two of you create this writing program? What are your hopes with it? David: I wanted an outlet to share my experience and tips that was part of an affordable, approachable, and comprehensive writing program which, when completed, would give people a great overview of travel writing. My hope is that when they are done, they’ll feel confident they’ve learned the nuts and bolts of the genre. I also really enjoy interacting with the students via email and our private Facebook page, answering questions and giving prompts and so on. Matt: And I wanted a place where bloggers could improve their writing craft by learning from a true writing expert as well as a place where I could share all that I’ve learned on my path to blogging success, thus “How to Be a Travel Writer” was born! 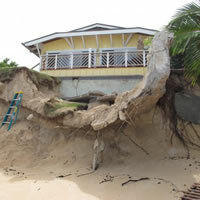 Matt, you already have a blogging course….what made you decide to ‘team up’ with David on this project? Matt: David is one of the best writers I know. He wrote a book called An Irreverent Curiosity, is a writing professor at Columbia and New York University, and he’s helped me with my writing. There was no one else I wanted to do the course with. He was the perfect candidate when I thought of this idea. As someone who writes a lot of his own blog, I’ve worked with a lot of editors, especially when I was writing my own book. I see how powerful having a teacher is and how important good writing is to online success. 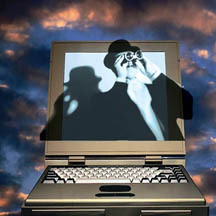 All the top bloggers in the world are captivating writers. Looking at our own industry, I didn’t see much emphasis on that and wanted to create a course that could provide the lessons needed. What are the biggest challenges facing writers today? David: Facebook, Twitter, Instagram, Snapchat, email. Actually getting anything done. It’s both frightening and pathetic how many convenient ways there are to procrastinate in the 21st century. In the past, writers didn’t have email and cell phones. Just typewriters. And far fewer things to distract ourselves. Matt: I would agree with David and add that the online landscape has created a glut of ‘wannabe writers’ so without talent and connections it is often hard to get good paying writing gigs. What’s the #1 advice you have for writer’s trying to break into the industry today? David: Knowledge is power. And by that I mean, by reading the types of publications you want to write for you will better understand what they are looking for. In addition, reading excellent writing, be it “travel” or otherwise, you are absorbing the talent, internalizing it, even if you don’t realize it. I once sat down and read over a weekend an entire edition of The Best American Travel Writing. The next thing I wrote after that seemed – or maybe I’m just delusional – much better than a few days earlier. Bloggers are often their own editors. How can they improve their self-editing skills? Matt: One of the things I do is to have a friend read my work. This may not fall under self-editing but just having a second set of eyes helps you spot things you would normally miss. They can also help provide feedback in case you didn’t explain anything enough or a certain part of your article is confusing. 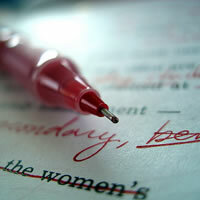 What are the most egregious offenses you see beginner writers make? Matt: I can only speak from the blogger side but, in my view, it’s that everyone thinks because they do write, they can write. Just because you wrote 500 words on your trip to Italy doesn’t mean it is any good. I think a lot of bloggers assume they don’t need any advice or tips on how to improve their writing and that’s a dangerous road to go down. It makes you complacent and keeps you mediocre. So there you have it, from Matt and David, a great explanation of the why and what behind one of the best online travel writing courses available. What I like best though is that “How to Be a Travel Writer” is much more than just a simple improve-your-writing course, David and Matt delve into the nuts and bolts of creating a career from travel writing, they teach you what to do AFTER you’ve written your story….that’s the part that most writers and bloggers struggle with…..how to get paid for your writing. 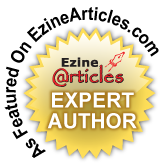 With this course you’ll go from hobbyist blogger to paid writer in no time. Thank you both for an enlightening conversation! 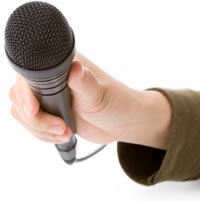 Do you have questions about the course? Ask in our comments! This entry was written by Trisha Miller, and posted on Tuesday, October 11th, 2016. Thats for the advice Matt, I am adding a travel section to my website and hopefully I can avoid some of the beginner mistakes. How nice for your readers – travel is s hot topic! 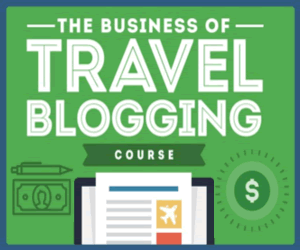 You might also take a look at Matt’s “The Business of Travel Blogging” course, which is amazing for learning how to monetize your website.